Our range of products include dc led bulbs. Our range of DC LED Bulbs are used with Home Lighitng System's and as standalone units. 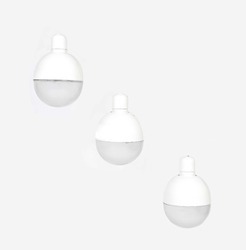 We manufacture LED Bulbs of different sizes in different bodies. Available in Plastic & Metal body with heat sync. We have a range of DC Bulbs, Tubes and Accessories to offer. Available in LED & CFL.